Author-illustrator of Little Gorilla and numerous other children's book. 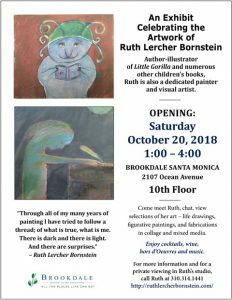 Ruth is also a dedicated painter and visual artist. More than twenty books and novels published. Recent art work and much more.